Ah the combination of cinnamon and buttery goodness. Cinnamon is so perfect on just about any baked good, but something about a snickerdoodle makes it significantly better. Back in the days where I had regular snickerdoodles I always recalled them to have a specific buttery and slightly salty richness to intertwine with the sweet and fragrant cinnamon. They had a texture that wasnt crumbly but soft and slightly chewy. Surprisingly almond flour makes a really nice and chewy cookie so long as you keep the eggs to a minimum in it. 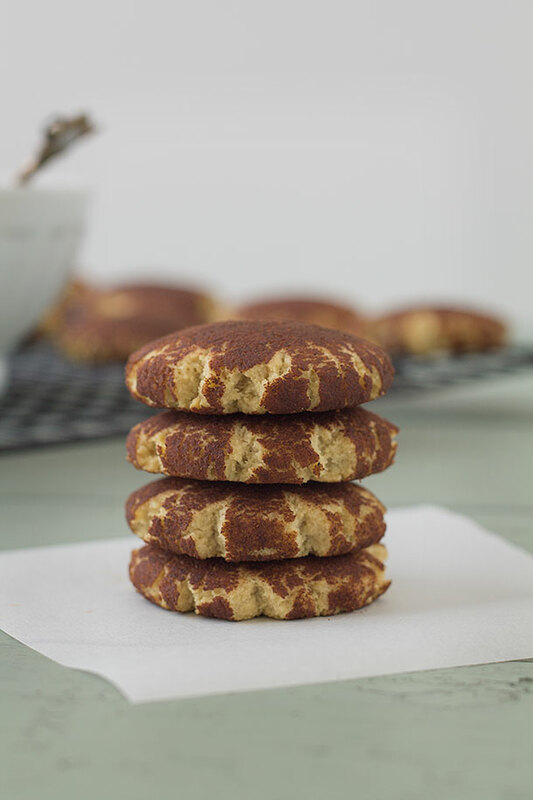 Almond flour also adds a beautiful richness and buttery nuttiness to these cookies that you wouldnt get form a regular snickerdoodle, so I might say these are better. My mom was the one who introduced me to snickerdoodles when I was a kid. I specifically remember it actually because I remember her mentioning it and me being utterly beffudled by the name. Snickerdoodles? That’s an incredibly weird name for a cookie. So she promptly showed me what a Snickerdoodle was and I fell in love. An incredibly simple cookie that has so much power and elegance with a misplaced name. I actually have no idea where the name itself came from. I tried researching it a bit and came up with a few results. Some places said that it could have a German origin from the German word Schneckennudeln which are snail noodles, a type of pastry.I know, I just threw another weird pastry name at you, I apologize for that. Another source said it could just be another English cookie with a hilarious name. Either way, the name is a tad ridiculous. But I don’t discriminate against odd and misplaced names especially this one because none the less they taste amazing and fill your house with the sweet smell of cinnamon. In a medium bowl combine almond flour, coconut flour, salt and baking soda until well combined. In a small bowl add egg, vanilla extract, coconut oil or butter, and liquid stevia plus almond milk or honey and whisk together. Pour wet ingredients into dry and mix until thoroughly incorporated and combined. Roll dough into equal sized balls about an inch in diameter and place them on the baking sheet for now. 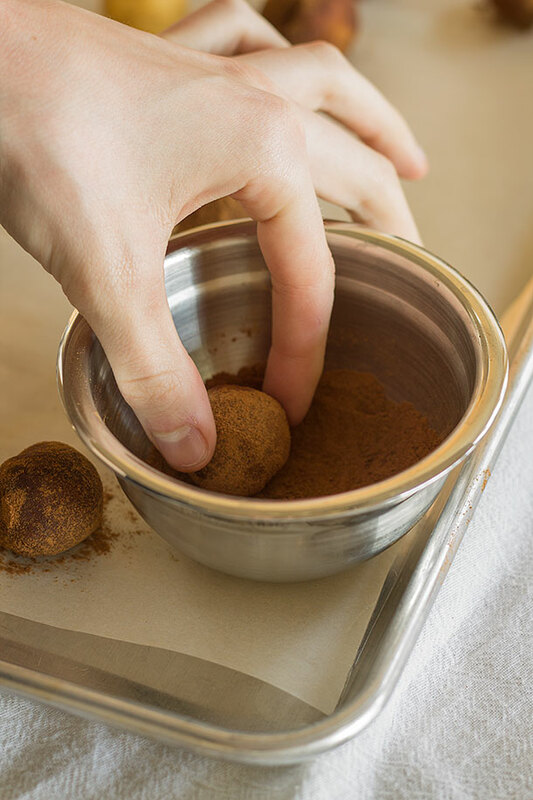 In a small ramekin or bowl place 2 tablespoons of cinnamon and roll each ball around in the cinnamon until completely coated and place back on the baking sheet evenly spaced apart with enough room for flattening them. 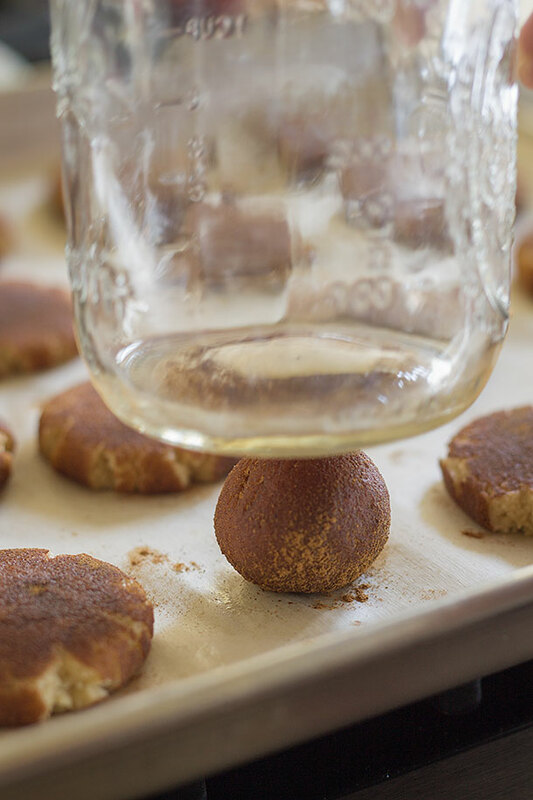 Dip either the bottom of a mason jar or cup with a rounded bottom into cinnamon and flatten each cookie about to about ½ inch thickness. Place in the oven for 15-20 minutes or until the center of the cookies are no longer completely soft and have a slight resistance to the touch. Place on a wire rack and allow to cool for at least 15 minutes. If you're using honey you may need to add more coconut flour to have the dough thick enough to roll into balls. Just make it normally and if you need to add more simply add it by the tablespoon and incorporate it thoroughly until you can roll the dough into balls. Perfect timing!! I was searching for this today!! My dad always made the best Snickerdoodles and I really miss them!!! Thank you!! To the kitchen I go!!!! I love your recipes! I am new to gluten free/paleo. Just wondering if you can substitute agave for stevia? Would it work in most of your recipes? Sub it as you would use honey. If you don’t mind me saying though, if you’re going to use a sweetener and don’t want to use stevia I wouldn’t suggest agave, it’s not so great for you, real honey is a much better choice. That’s just my view, and a suggestion but you by no means have to listen. I’m off work today and had all the ingredients, so I made a batch. I didn’t use honey but will if I use this recipe again. These are good but not sweet enough for my taste, and they were a bit dry after 15 minutes in the oven. Using honey might improve both issues. BTW, Joshua, I know you’re young and new at this. I mean the following in the nicest possible way: It is helpful (and customary) to list the ingredients in a recipe in the order used, so that one need not scan up and down the ingredient list for the next item. So in this recipe, the coconut oil/butter and the vanilla would both be listed after the baking soda and salt. It just makes things easier to follow. Thanks for your blog. I enjoy it. They’re probably not sweet enough because you didn’t use any sweetener in them at all. And I’ll try and work on ordering my recipe better, thanks for letting me know. Honestly people are hilarious. The reviewer didn’t use any sweeter (and they weren’t sweet enough) and also didn’t use the honey that would have added moisture to the dough (and they were too dry for his/her taste). Simply a head-scratcher of a review. Bless you for being so nice and patient. I used 1 tsp stevia, which is a sweetener. I also added a bit of xylitol, which is also a sweetener. It’s just a matter of individual taste. Glad you like them with only 3/4 tsp stevia. Was it liquid or dry? A little bit of liquid stevia extract goes a long way. Possibly it’s your brand? Did you also make sure to add the almond milk along with the stevia? Hi Josh.. Thanks for this recipe.. It looks great! Do you think I could use ghee as the fat? I’m new to using ghee but I really like the nutty flavour. Thanks Nina. You absolutely can use Ghee in this, that’s a terrific idea. Let me know how the ghee works in it, I’m interested to see how it turns out using ghee. Nina, what was you recipe when you changed to ghee and applesauce? Ok so just made a batch of these using ghee. They are great! I also made a slight change because I was too lazy to make almond milk and didn’t want to use honey… I used homemade applesauce without any additional sweetener. My snickerdoodles look exactly like your photo and taste beautiful! Slightly soft inside with a thin crust on the outside. I made a half mix and that gave me 10 cookies. The only thing I would do next time is add a drizzle of honey to the mix to give it a little more sweetness, but other than that.. I’m hooked! Thanks again Josh.. I’m really enjoying your recipes & photography, and the way you come up with fab new ideas… Pretty inspiring! Found your blog because Michelle Tam (nomnompaleo) shared it on Facebook. So I tried this out last night. I used ghee (1/4 cup). Also used dry sweetener. Didn’t add extra liquid, and sure enough, they were just a bit dry- but not when you look, or touch them. They don’t seem dry until you try to swallow them. So I’ll try again. 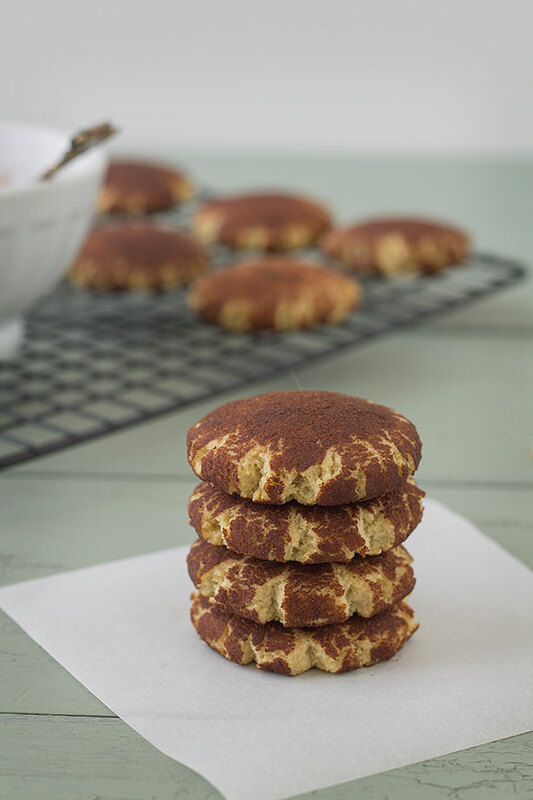 But so far, this is my favorite paleo snickerdoodle. Thanks for the recipe! Just tried this again. Used honey- more moist than the first batch. I made them (and they were delicious,) but after 15 minutes in the oven, they were burnt to a crisp. The second batch was nearly burnt after only 8 minutes. Not sure if it’s our oven, but watch the cookies while cooking. Hmm, I’m sorry that happened Jordan it might be your oven because mine come out fine and so far I haven’t heard from anyone else having this burning problem. Thanks much for sharing this awesome recipe, just want to say…I think the way you listed the ingredients is perfect. Get an oven thermometer and keep it in your oven, you’d be surprised how many ovens are off. I have a brand new Electrolux and kept having problems, turns out the temp was off. Now I go by that and not what the oven says! Good luck. how much cream of tartar did you use? I have made these 5 times within two weeks and they are always gone by the end of the day! Literally my absolute favourite cookie to have at the moment. One of my workmates has just bought me all the ingredients for them so I can bake his very own batch haha. Thank you so so so much for this recipe! In the oven now!! My 11 yo who wants to be a chef chose and made them!! I made this recipe twice now, both were the best grain free cookies I’ve ever had! Version 1 with ghee and 1/2 cup honey, version #2 was with ghee and 1/4 cup pure maple syrup. Both great, but we liked the syrup version better with no loss in sweetness! I’ll go to 2T maple syrup with the next batch. i’m tickled to report that i made these using butter and honey and the dough consistency was perfect! i made mine using a 2 T. cookie scoop for the first batch, then switched to 1T. scoop for the second. the cookies made with the 2T scoop are the perfect texture. had to bake them 18 min. total, and they’re nice and soft. the timer just went off on the smaller cookie batch, so we’ll see. thanks for all you do, josh! you’re an inspiration! I made these for my third grade class and they LOVED them! Thanks so much for the recipe! Going to make this recipe soon, but I have a question: If I’m substituting honey in, do I still need the liquid stevia? Just slightly confused by the wording above. Thanks! Nope, if you’re using honey you will only use that, don’t add stevia or else you will be in for an overly sweet surprise. Yum Josh. I have been making these cookies since the recipe came out. They are always delicious and my entire family loves them. I am going to post a link back here for my blog readers. Thanks for all of your great recipes!! It’s great when I’m in the mood for something sweet but it’s within my gfcfsf diet. These were great! They reminded me of French toast, one of my favourite things to eat. Will me making them again! 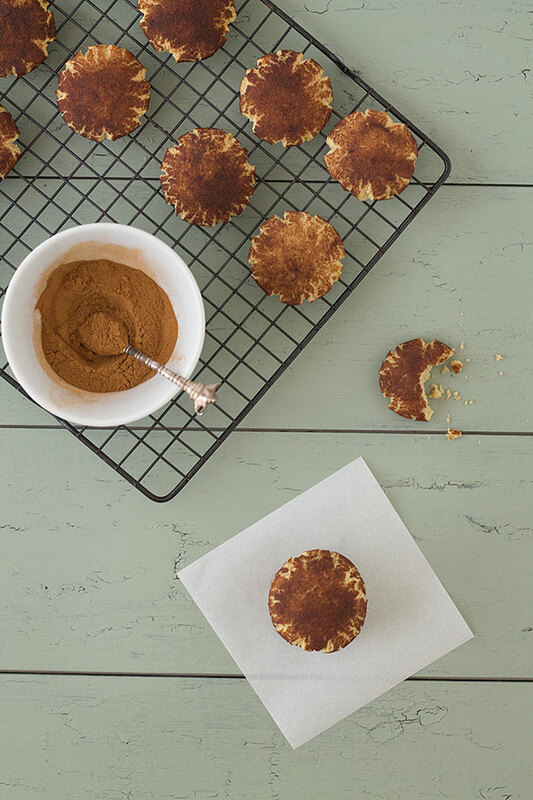 How can I avoid coconut flour? These snickerdoodles are so yummy! I love the chewiness of them….delicious…thanks…super easy to make. Can you substitute any other flours for the almond flour? Got an allergy over here!